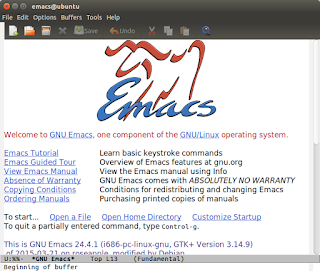 GNU Emacs is an advanced text editor from GNU Project. It is extensible and hackable by macros. The name Emacs itself is an acronym from Editing MACroS. 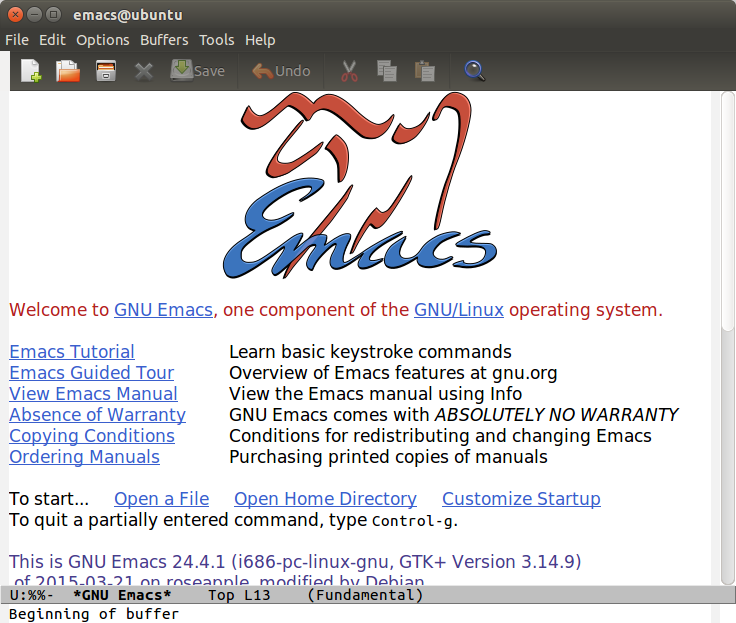 GNU Emacs is well-known as a rival to vi editor from UNIX. 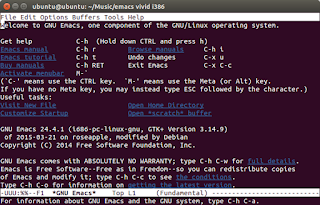 This article introduces how to install and basic usage of Emacs. 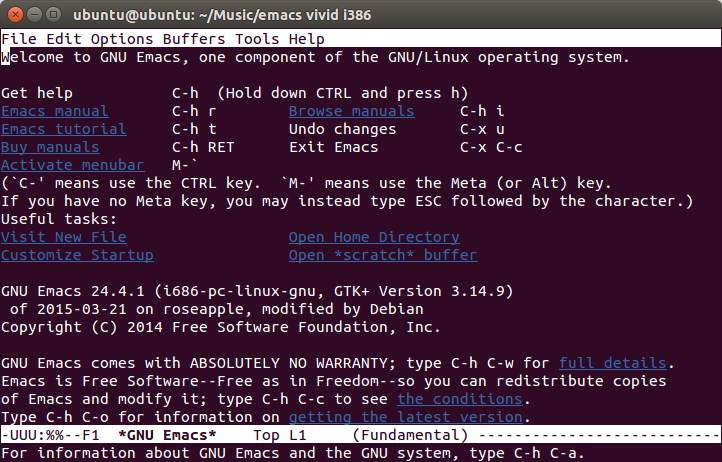 The main rule of Emacs keystrokes is C key (Ctrl) and M key (Alt, or Esc). User should remember that Emacs is not vi. In Emacs you use normal arrow keys to navigate cursors and you don't use two different modes (INSERT and COMMAND) like vi. Note: M-x with Alt is different with Esc, in which M-x is pressing x while holding Alt. Both Alt and Esc can be used depends on your need.